Baskin-Robbins, the world’s most loved ice cream brand, makes eating ice cream even more fun and exciting with freshly baked colorful and fancy waffle cones! Add more color and crunch to your favorite ice cream flavor with an orange, blue, or green waffle cone for only Php35. Just add Php70 and get a fancy colored waffle cone which comes with premium white chocolate, colorful rainbow sprinkles, or soft and chewy mini marshmallows. Also try the premium fancy cones made with delicious almonds for only Php99. 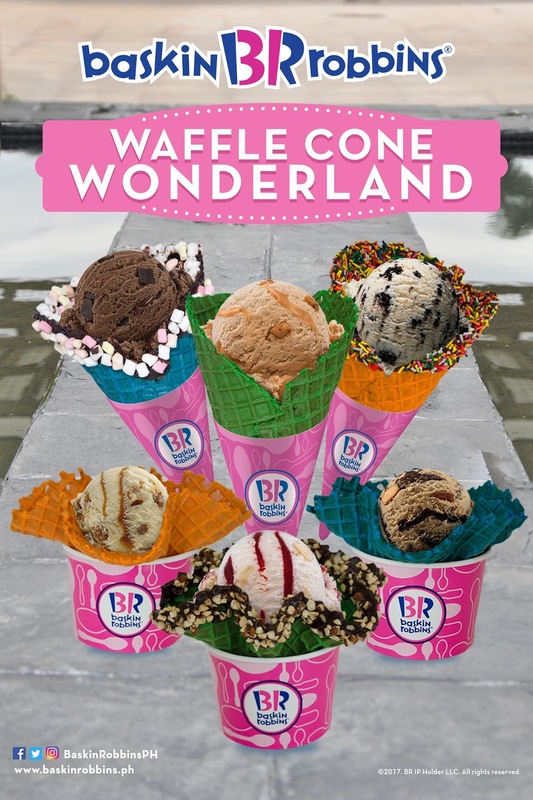 Experience wonderland when you pair any of these eye-candy waffle cones with a scoop – or two – of any Baskin-Robbins mouth-watering ice cream flavors. For more information, log on to www.baskinrobbins.ph or check out their social media accounts: facebook.com/baskinrobbinsph, Twitter, and Instagram @baskinrobbinsph. Screentime just got even better with M&M’S®!